MK Metal 17th Edition Amendment 3 Garage Consumer Unit 2 Way is rated 5.0 out of 5 by 11. Rated 5 out of 5 by LePecheur from Just The Job Great price and perfect for intended use. Rated 5 out of 5 by Old Seadog from Does the job. Good quality and value. 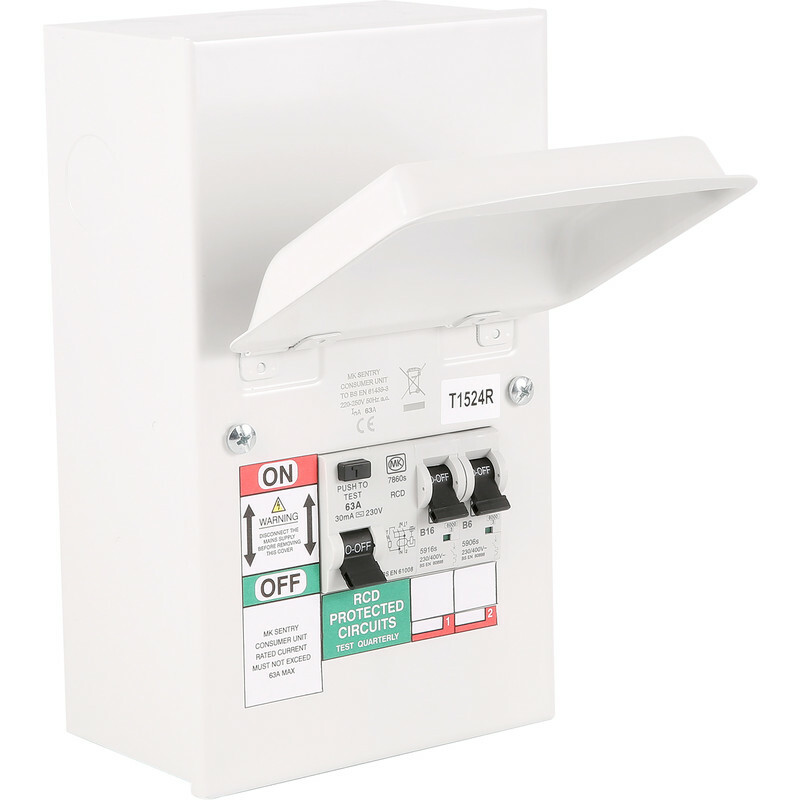 Rated 5 out of 5 by Harry 01 from A great branded product at a competitive price I brought this consumer unit for installation in my sons Garage, it came with clear and easy to understand instructions and enable me to make a very tidy and safe installation. Rated 5 out of 5 by Robin 344 from Really well made product Installed in an outbuilding about a week ago to supply some 13A sockets and lighting and is operating perfectly. Feels like a really solid unit that will last for many years. Well designed for easy installation.